Philips Respironics - ThoughtForm, Inc.
Philips Respironics is one of the health care arms of Royal Philips, a century-old Dutch technology company headquarted in Amsterdam. 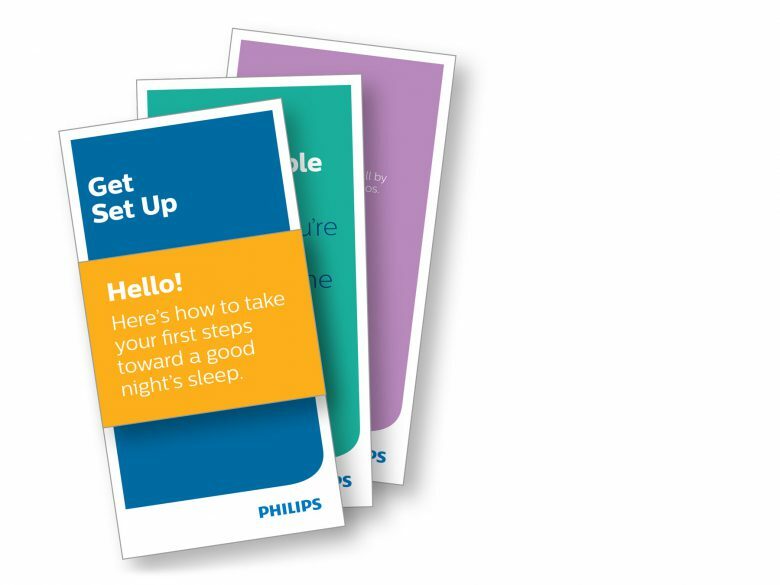 As a global leader in sleep and respiratory markets, Philips is passionate about providing solutions that lead to healthier patients, practices, and businesses. Philips is renowned for its patient-centered innovations in sleep apnea management, oxygen therapy, noninvasive ventilation, and respiratory drug delivery. Philips Respironics supports patients with Obstructive Sleep Apnea (OSA) who use Continuous Positive Airway Pressure (CPAP) therapy at home. For these patients, the CPAP device can be intimidating. 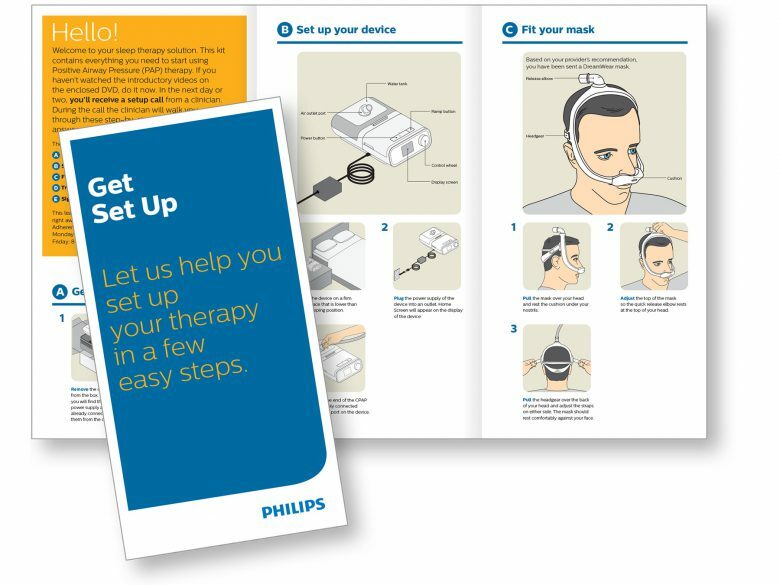 Philips realized that they needed to do more to support patients and their caregivers as they “get comfortable” with their CPAP devices and start a therapy regimen. 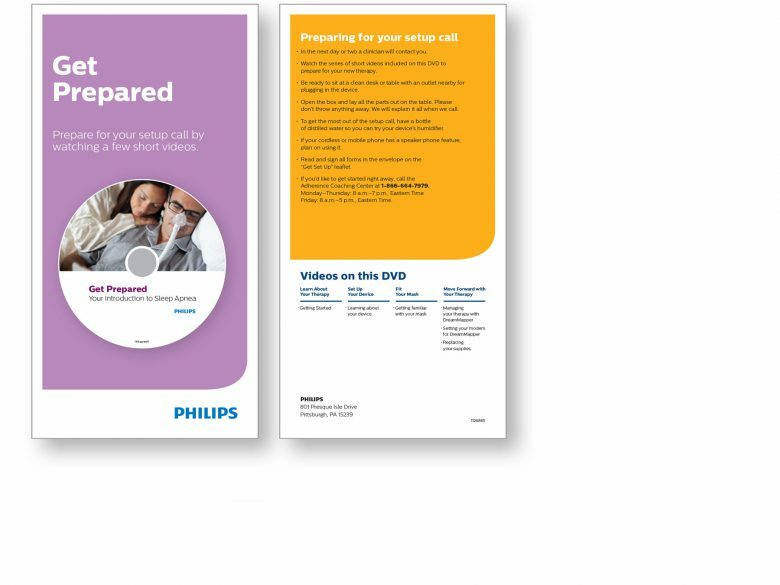 The literature that accompanies the CPAP device is critical to patients’ success and their long-term compliance with their care plans. 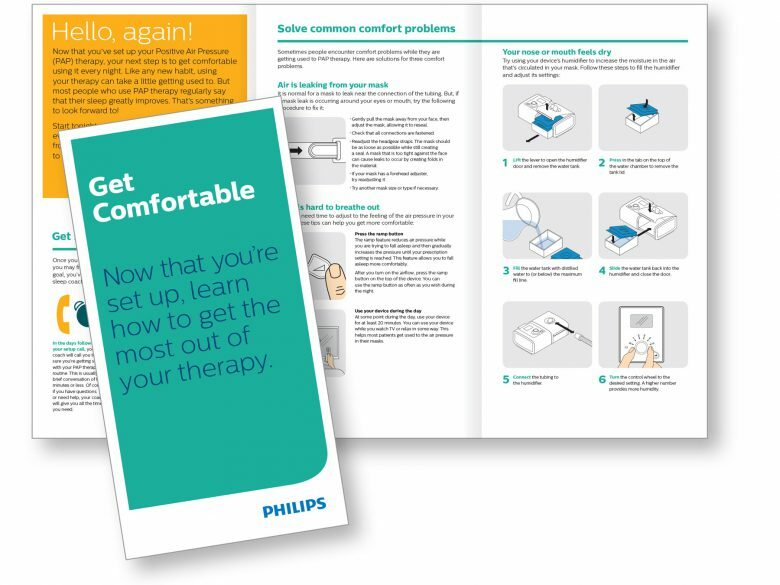 ThoughtForm worked with Philips to define the patient journey and develop a suite of materials, or Welcome Kit, to guide patients through the process of beginning CPAP therapy at home, starting with the setup of the device. ThoughtForm created a Welcome Kit for two different CPAP devices and seven different breathing masks that pair with the two devices—resulting in eight tailored Welcome Kits. Performed research to gain a clear understanding of the patient journey. Designed and piloted a system of Welcome Kits to orient patients to their new CPAP devices. Refined the Welcome Kits to reflect the results of the pilot.